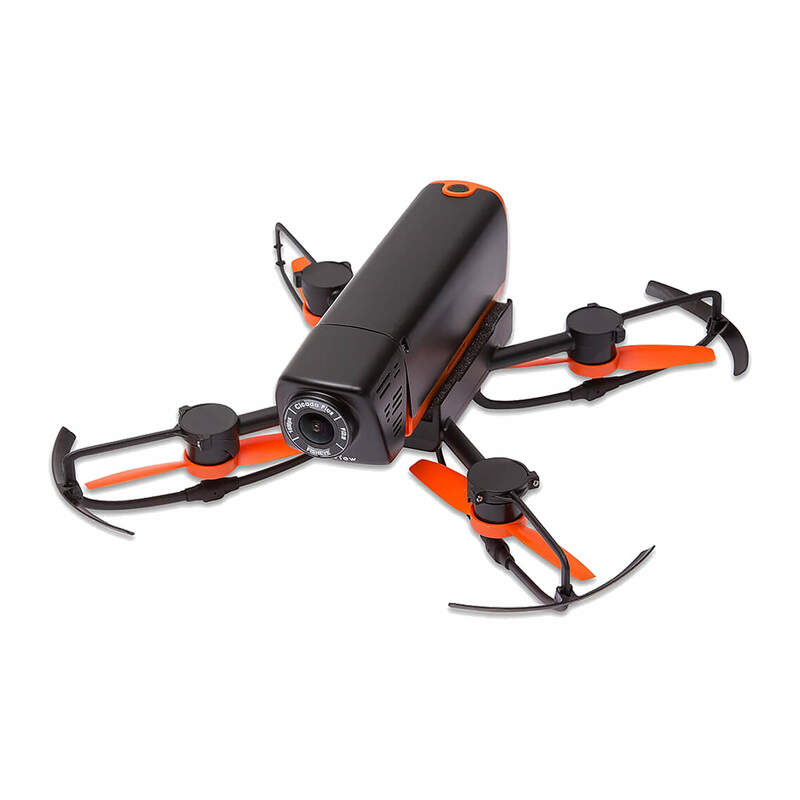 The Cicada + doesn’t look like any other drone : it measures 238x238x87mm and weighs 240g. Its inverted propellers, mounted on the lower part of the drone, differentiate it from other drones and give it a better propulsion. They are protected by propeller guards and landing gear. Its mat black and orange mat is sublimated by a soft-touch finish. The photo and video files are stored on Micro SD card 64GB max (not included) to be inserted into the side slot. In front, the camera is manually adjustable from 15°. It may be previously oriented downwardly or horizontally, depending on the desired composition. 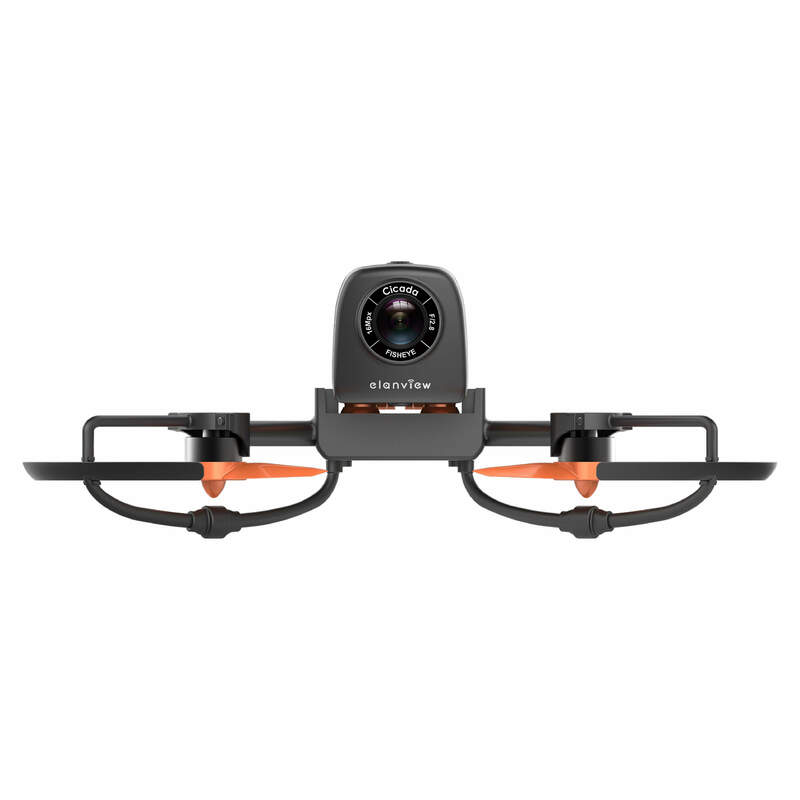 Sensor 1/2.3″ Full HD camera built into the drone CICADA PLUS is a Sony CMOS, with an f/2.8 aperture. 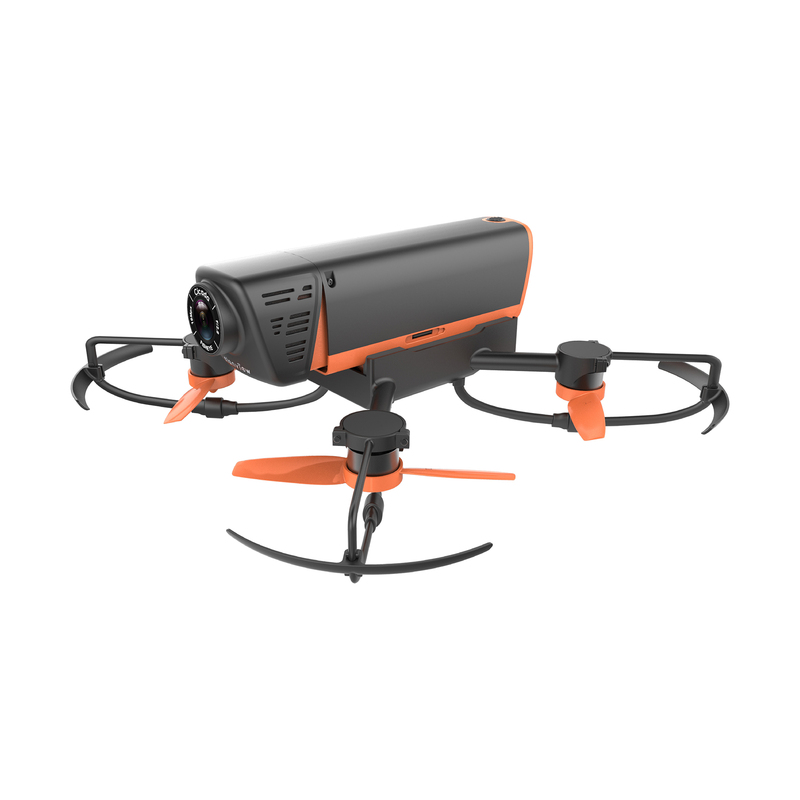 It allows you to create images in wide angle 3-axis stabilized, with a 16MP photo resolution and 1080p60ips video resolution. During the flight, the video transmission is available in real time. The CICADA PLUS measuring 238x238x87mm and weighs 240g. Inverted propellers, mounted on the lower part of the drone, apart from other UAVs and gives it a better propulsion. They are protected by the propeller guards and landing gear. 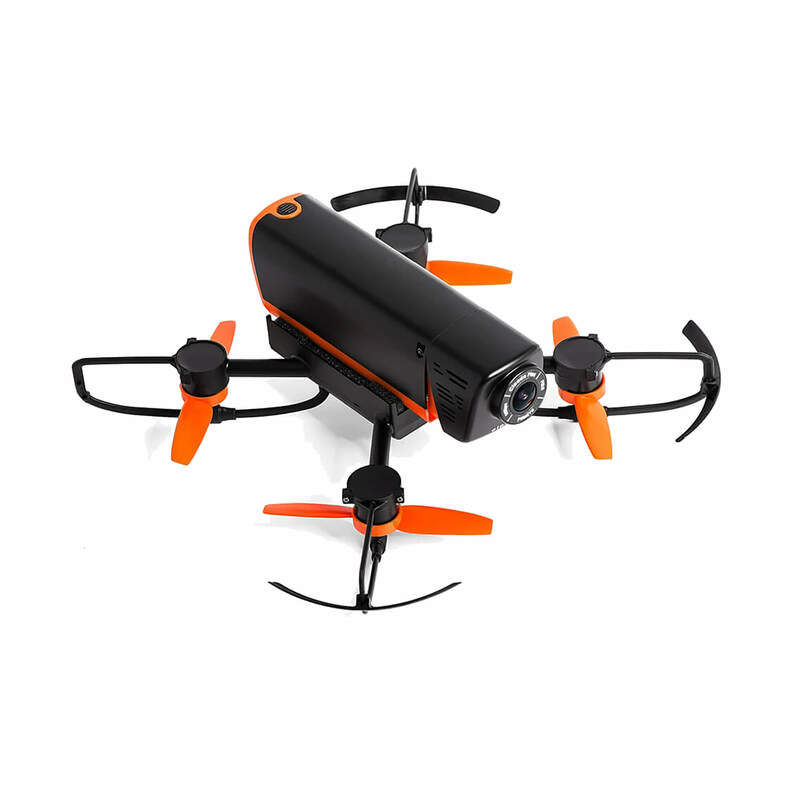 Its matte black and orange casing is enhanced by a soft-touch finish. Outside, the GPS/GLONASS system allows the drone to capture a multitude of satellites and to maintain a stationary position accurately. The steering indoors is not recommended for beginners. 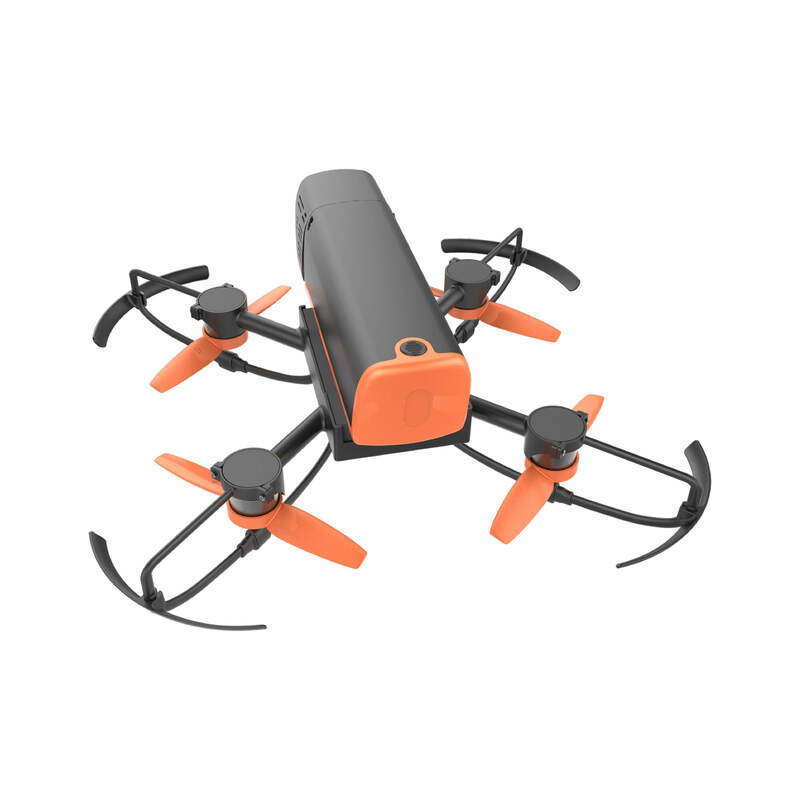 With a 1000mAh battery, its autonomy is 10-15 min. By default, the smartphone is configured Keypad Mode. In this case, you have to press the arrows. In Joystick Mode, simply keep his thumbs on round centrally located. Finally, it also features the Gravity sensor mode. With the Gravity Mode, the smartphone’s sensors are used to manage the movement of CICADA PLUS. The driver only has to tilt the smartphone in the desired direction for the drone flies forward, backward, left or right. Simple to use, the application “Elanview French” is available on the l’App Store (iOS) and Google Play (Android) for free allows you to take control of the drone CICADA PLUS up to 100m. With one click, you can trigger the automatic takeoff and automatic landing. Outside, the Automatic Return-to-Home function is available.